Do you like dogs? Do you like this dog, Bo? What if you knew it belonged to Pres. Obama and his family? Would that matter? 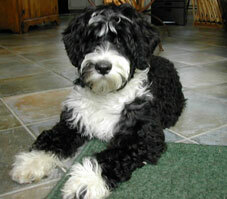 Turns out that the late Sen. Ted Kennedy had a dog that looked very much like this one, called Splash. 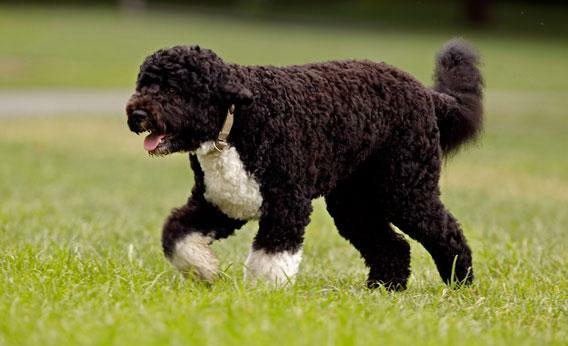 (They are Portuguese Water Dogs, in case you’re curious.) 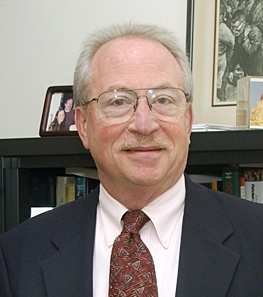 Political Science Professor Michael Tesler asked White Americans what they thought of the dog, telling some that he was Bo and others that he was Splash. Turns out that what people think about race predicts pretty well what they think about Bo. Attitudes toward Black people affected views toward the dogs quite a bit. Those with positive attitudes toward Black people liked Bo quite a bit more; those with negative attitudes liked Bo quite a bit less. Views about race had a much smaller affect on how much people liked Splash. I don’t think it was just politics; by any measure, Sen. Kennedy was more liberal than Pres. Obama has been. If people were judging the dogs on how much they liked the owners’ politics, attitudes toward Splash would have varied more than attitudes toward Bo. The president’s race is a significant predictor of other things connected to him, too. If you want to know who opposes the idea of a national mandate to have health insurance for yourself and your family–one of the most important aspects of “Obamacare”–don’t ask people (White people, at least) their philosophy about the proper role of government in American life. That’s just a so-so predictor. Ask them what they think of Black people (Tesler and Sears, 2010). The effects of race on our attitudes are complex and, often, difficult to discern. It helps to know that there are two strong, contradictory themes in White Americans’ statements about how race affects their lives–that race is invisible, and difficult, all at the same time. Perhaps one of the most common things you hear White Americans say about race is that they just don’t see it. It’s a simple assertion with a complex meaning. Asserting that one doesn’t see race makes a lot of sense, too, if you believe The Black History Month Story. Things used to be bad, but now they’re much better, and it’s such a relief that we can now put all that race stuff behind us. In this sense, too, the intended function of saying we don’t see race is to declare that we are on the right side of history. It makes even more sense if one is, or would like to be, in the Minimization stage of intercultural development. The problem with a color-blind stance is that it often co-opts the language of civil rights in order to oppose civil rights. Eric Knowles and his colleagues (2009) talk about “motivated construals” of color blindness, meaning that people use color-blind language in order to sound egalitarian when, quite frankly, they aren’t. It helps to think about two different ways we can be color blind. We can be color blind as to outcome (distributive justice) or we can be color blind as to process (procedural justice). The Civil Rights Movement, and all on-going efforts for racial justice, focused on eliminating all barriers to full participation–economic, social, educational, and political, as well as legal. The Black History Month Story, however, tells us that removing legal barriers was the sole goal of the movement, that we have succeeded in that, and now it’s time to ignore race. Now that procedural justice has been obtained (in a narrow legal sense, at least), we should quit. If distributive justice is still beyond our reach, well, that’s the fault of people who just need to work harder. Knowles et al. (2009) found that White people who believe that it’s OK for some groups of people to have higher social standing than others (i.e., a high Social Dominance Orientation) were just as likely as egalitarian Whites to use civil-rights-type language to explain their positions. However, rather than focusing on social equality broadly defined (distributive justice), they focused on making sure that individual people were treated the same in specific instances. Are people of color more likely to attend schools with high drop-out rates? Not an issue, from this perspective, because we shouldn’t concern ourselves with distributive justice, and we shouldn’t attend to the race of the students anyway. Are there college scholarships available only for Latinos or African Americans? That’s a problem, because it violates a belief in procedural justice that demands that race be excluded from consideration. In the Knowles et al. study, this was especially true for those who reported feeling threatened by gains made by people of color, saying that progress made by other groups would come at the expense of White people. Very motivated construals. 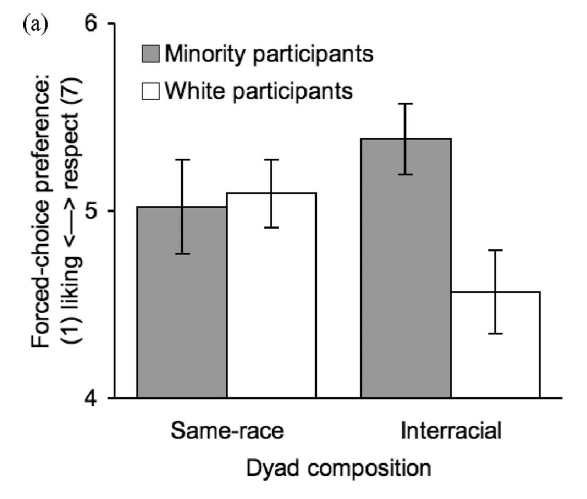 Other motivations: White people who endorse a color-blind strategy are less likely to notice racial discrimination at work (Offermann et al., 2014) and are more likely to have negative views of a person of color who points out such discrimination (Zou and Dickter, 2013). Tynes and Markoe (2010) found that color-blind White college students also were more accepting of race-themed parties (e.g., “gangsta” parties with White students in blackface, or “Mexican” parties with White students wearing sombreros, etc.). They often found such parties funny, in fact, laughing at the pictures and encouraging the party-goers. White students who did not endorse a color-blind view, however, strongly disapproved of race-themed parties. Those who are color-blind, then, can carry that so far that they fail to see race even in the midst of outright racial discrimination. 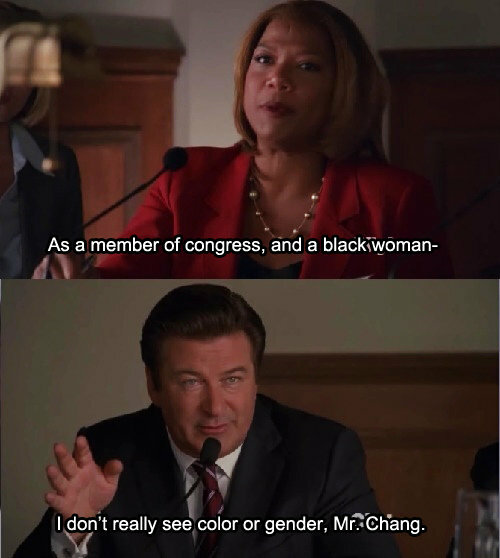 Not seeing race apparently means never seeing race, even when it’s staring us in the face. 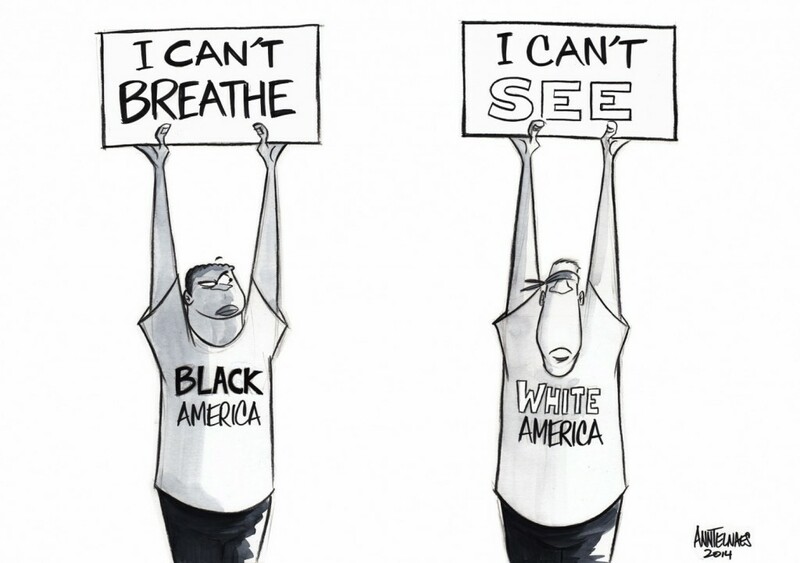 Perhaps that is why the Pew Research Center found that only one in three White Americans say that the events in Ferguson, Missouri, in 2014, raised important questions about race in America (compared with four out of five African Americans). 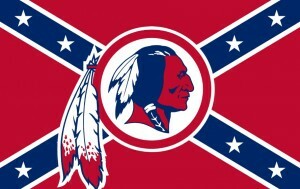 I think that’s one reason why many people can genuinely, honestly not see the racism in such obviously racist symbols as the Confederate flag and the mascot for the Washington Redskins. “Heritage or hate” is a false choice, obviously–given our history, the clear answer is “both.” The arguments, however, for “heritage not hate” sound naive and innocent, in part, because at one level they are. That’s why it’s so difficult to tell the difference between arguments for the Confederate flag and arguments for the Washington mascot. They are the same arguments, drawing from the same well of ideas. Click on the mascot/flag to see if you can tell which arguments have been offered for the flag, and which for the mascot. See if you can do better than I did (only 9 of 16). Note that this is true of young people, as well as older adults. Most (though not all) research studies are carried out on college students, after all, who are a convenient, captive, population for researchers who work at universities. Regardless of our age, if we try to get beyond race by pretending that it has no effect, we are going to continue to be stuck where we are right now. Those who say that the younger generation has moved beyond race are contributing to the color-blind fallacy, declaring victory in order to call off the effort. In addition to saying they don’t see race, many White people also say that race is difficult for them, in the sense that thinking about it and talking about it with others makes them uneasy. In my Race in America class, I ask students to write a short paper at the very beginning of the semester outlining what they know, and what they believe, about several racial issues. Most of my students of color write papers that say, in effect, “These are the ways that race has affected me, shaped who I am, and, often, made my life difficult.” Many of my White students write papers that begin with an introductory sentence very much like this: “Race is an awkward subject, one that is difficult to talk about with others.” The difference is striking: race as a life-shaping force vs. race as an occasional topic of conversation that can leave me feeling a bit anxious. Why might White people find race a difficult topic? For one thing, many White people don’t have much experience talking about race. We aren’t very good at most things unless we have some practice. In addition, we often have a sense that there is a lot at stake when we talk about race. The news media are full of reports of White people who said the wrong thing about race and suddenly found themselves in a heap of trouble. Or, at least, it seems sudden when we read such accounts in the news. Sometimes we worry about using the right words: I’ve been asked many times whether we are “supposed” to say Hispanic vs. Latino or Black vs. African American. Even people who haven’t thought a lot about race are aware that some words will signal that you aren’t very up on the topic. And if you aren’t very up on the topic, you might not know what words those are. This is related to the fact that, like any other social group, White people are aware of others’ stereotypes of them. We know, or we think we know, that some people of color expect White people to be closet bigots, and we worry about accidentally fulfilling those stereotypes by doing or saying the wrong thing. The anxiety from that stereotype threat, ironically, only makes it more likely that we will fulfill the stereotype. Sam Gaertner and John Dovidio have done excellent, enlightening work on White anxieties about race for nearly 40 years. They identified “aversive racism” as a common set of sometimes-conflicting attitudes and values held by many White Americans in the post-Civil Rights era. Being overtly racist is no longer socially acceptable, and fewer White people grow up these days being taught openly that people of color are inferior. Therefore, most White people want to be–and, in fact, see themselves as–racial egalitarians, open-minded people who do not have stereotypical beliefs or prejudiced attitudes, and do not engage in discriminatory behaviors. Beneath the surface, however, many White people are aware of ways in which they fail to meet their ideals. Often they think being non-racist means they shouldn’t notice race, and they’re almost certainly failing at that. Plus, they do sometimes find themselves feeling anxious when interacting with people of color. Rather than acknowledge such difficulties, which can seem like failures, they often try to pretend those tensions don’t exist. This is aversive–that is, uncomfortable. 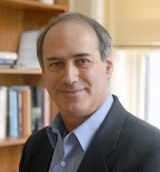 Gaertner and Dovidio chose this term to describe their theory because of their belief that while many White people no longer feel hatred or disgust toward people of color, they do feel anxiety or discomfort toward the topic generally and toward people of different racial backgrounds. It’s different from old-fashioned racism, but it results nonetheless in some of the same outcomes, albeit in less overt, obvious, ways. Aversive racism is similar to the distinction between our explicit and implicit attitudes toward people of other races. Many White Americans have explicit attitudes toward people of color that are quite benign, but implicit attitudes (as measured by the speed at which we connect photos of people of different races with either positive or negative words) that are much more negative. Those implicit attitudes leak out, however, whether we want them to or not. One of the early studies is still a classic. Back in 1977, Gaertner and Dovidio tested how often White people would come to the aid of Black people in need of help. White college students participating in an experiment “accidentally” overheard someone having an apparently-serious health problem. Would they walk down the hallway to offer assistance? As it turned out, whether White participants were helpful depended on the race of the person in need and how many other people were present. When the research participant was the only person around who could help, s/he offered assistance to a White “victim” 81% of the time and to a Black “victim” 94% of the time. When there were two other people around, people who presumably also could help, White participants helped White “victims” 75% of the time, almost as often as when no one else was around. 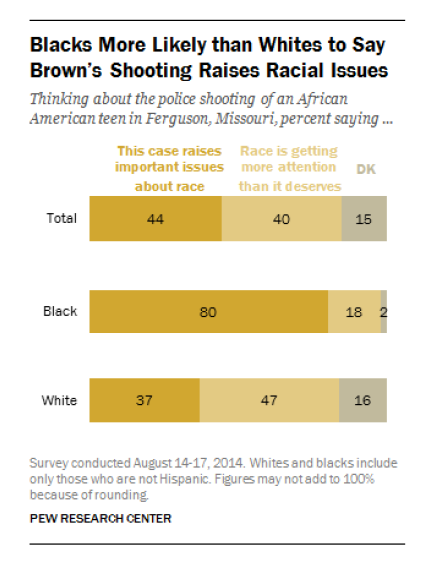 But when the “victim” was Black, White participants helped only 38% of the time. When there was no one else around, White participants did the right thing regardless of the victim’s race. When they could push the responsibility onto someone else, however, they still helped White victims, but were less than half as likely to help Black victims. In other words, no racism when it might look like racism, but lots of racism when it could be explained away as something else. Several years later, Dovidio and Gaertner (1991) asked White people to rate, on a seven-point scale, the extent to which they believed White and Black people, on average, are good and bad. (They didn’t use one scale, with good at one end and bad at the other. They used two different scales, from high to low on good and from high to low on bad.) When they asked the same people to rate both Blacks and Whites, the ratings were nearly identical. Do do otherwise could have looked racist. But when people rated just one group or another, only Whites or only Blacks, there was an important difference. White people in the group rating White people and White people in the group rating Black people gave the same average rating for how bad White and Black people are. But White people in the group rating White people gave higher scores, on average, on the good scale than did White people in the group rating Black people. The White raters didn’t think that Black people are worse than Whites (measured by the ratings on the bad scale), but they did think that White people are better (measured by the ratings on the good scale). Does this matter? Dovidio, Kawakami, and Gaertner (2002) found that when White research participants were low in explicit prejudice, and high in implicit prejudice, they said positive, friendly things to Black people in conversation (as measured by neutral observers). But their non-verbal behavior (again, measured by neutral observers) was negative, distant, even hostile. Their verbal behavior followed the explicit attitudes, but their non-verbal behavior followed their implicit attitudes. It’s easier to control what we say than it is to control how we say it. Building on that, Richeson and Shelton (2005) filmed White people interacting with another White person or with a Black person. They showed clips of those films–muted, and with the other person off-screen–to both White and Black people and asked them to rate the White person in terms of words like likable, friendly, tense, and standoffish. Black raters’ judgments were significantly lower when the person in the film was interacting with a Black person, rather than a White person and the person in the film scored high in implicit prejudice. Implicit bias was clearly visible in the non-verbal behavior, and Black judges were especially adept at spotting it. Bean et al. (2012) found that White people who are especially anxious about being perceived as prejudiced exhibited eye movements characteristic of people experiencing social threat, undermining their goal of appearing non-racist. Bergsieker, Shelton, and Richeson (2010) studied the goals that White and Black people have in interracial interactions. They learned that White people are more eager to be liked, and Latino and Black people are more eager to be respected. My guess is that there are two reasons for this. First, White people can usually take respect for granted, while Latino and Black people cannot. Second, the stereotypes about White people have more to do with being untrustworthy and the stereotypes about Blacks and Latinos have more to do with being incompetent. Each group is hoping to overcome the stereotypes they know others have of them. This 2015 MTV documentary on young White Americans’ views about race explores these issues further. The tone is a bit too much like reality TV for my tastes, but it’s worth watching. The Bottom Line: We live in a society in which race is everywhere, but we are encouraged not to notice, and not to talk about it. White people have internalized these mixed, confusing messages–designed to preserve the racial status quo–and as a result their attitudes and feelings are as mixed, confused, and self-serving as the society as a whole.